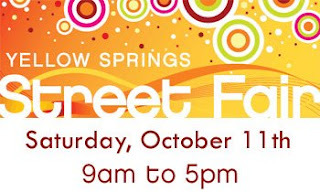 I am excited to be an exhibitor at the Yellow Springs Art Fair, October 11. My booth will be located near the BP Station. I will have plenty of peace sign pendants and a new small oblong pendant charm size for $10.00. I will have several hundred regular size pendants with images inside. Come join the fun of the street fair and stop by at my booth!